Our mesh supply service enables clients from all walks of life, whether you are a private vehicle owner or a major car manufacturer, to get the best of both worlds. Here at Zunsport, we provide DIY custom grille mesh, grille mesh and custom mesh kits to ensure our customers can craft their own grilles using the highest quality materials. 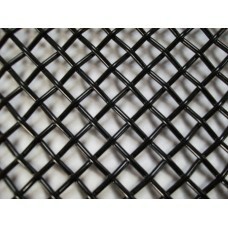 As with all our standard and bespoke vehicle grilles, Zunsport mesh is developed using unique prototyping techniques to ensure you and your car can benefit from enhanced style, accuracy, durability, responsiveness and efficiency. 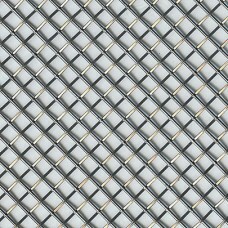 All the mesh used to create our handcrafted grilles and individually developed pieces is made from the highest quality stainless steel, and, depending on the details of your order, can be dispatched within 24 hours. Discuss your mesh supply requirements today by contacting our specialist team on 0300 303 2605 or info@zunsport.co.uk. 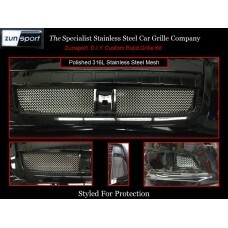 Your Zunsport DIY Custom Grille Mesh deserves the very best, and when it comes to something as inst.. The has been specially designed and developed for your Zunsport Grille Mesh Size 2: 860mm x 63mm. .. Your Zunsport Mesh Size 3: 1200mm x 110mm deserves the very best, and when it comes to something as..